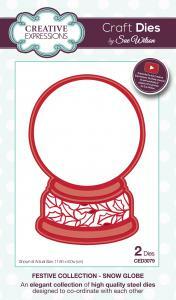 Super two piece die set to cut a snowglobe shape with a decorative base. Team this with the Here Comes Santa die to cut a background design for the snowglobe to complete the look. Compatible with leading brands of die cutting machine.